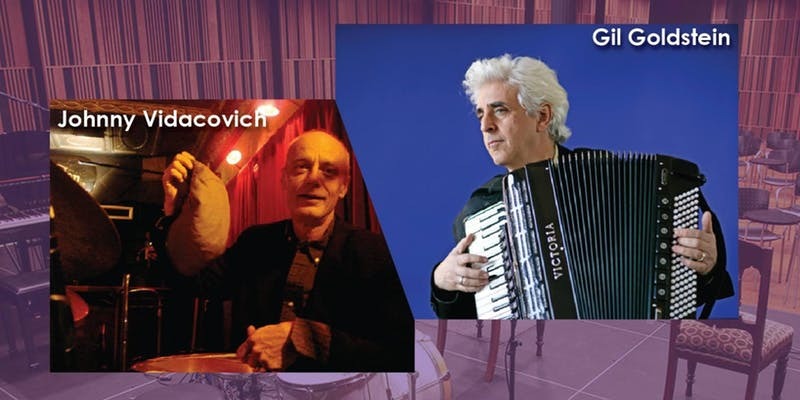 The nationally acclaimed jazz accordionist and arranger Gil Goldstein performs at the New Orleans Jazz Museum with legendary New Orleans drummer Johnny Vidacovich. Gil Goldstein is an accomplished pianist and accordionist who has played with musicians such as Pat Martino, Pat Metheny Billy Cobham, Ray Barretto, Lee Konitz, Jim Hall, and Gil Evans. He has arranged for such musicians as David Sanborn, Bobby McFerrin, Chris Botti, Milton Nascimento, James Moody, Richard Bona, Randy Brecker, Manhattan Transfer, and Al Jarreau. General admission tickets are $21.00.